I am the Berkshire Hiker! 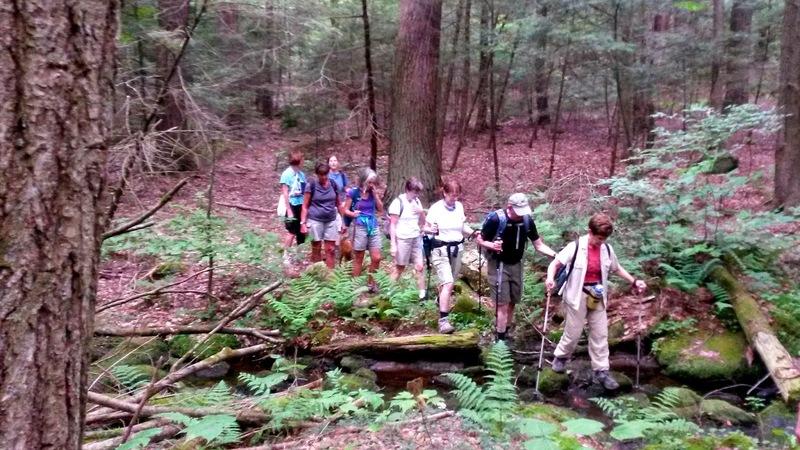 I lead custom-designed guided hikes. 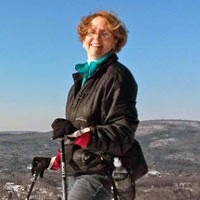 Let me be your guide for a fabulous hiking experience on our beautiful Berkshire trails. My knowledge and skills ensure a safe and enjoyable outdoor adventure for you. Whether you are a beginner or expert, I will design a Berkshire hiking experience for your abilities, your interests and your time schedule. I've been leading successful hikes in the Berkshires since 2007. Check out my blog for great photos of what I can show you! It will be my pleasure to share the trail with you! What have I seen on the trail recently? Call or Email Me Soon to Set Up Your Guided Hiking Experience! 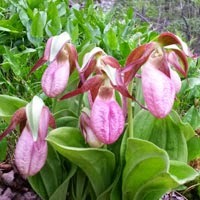 Check out my blog for great photos of what I've seen recently and what you might see on the trail. An introduction to the trail for the beginner hiker. Half-day or whole day hikes. Strenuous workouts or pleasant walks. The world-famous Appalachian National Scenic Trail. Micro-views of wildflowers, vegetation and natural rock formations. Mountain lakes and beaver ponds. 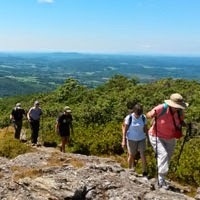 Historical hikes with local interest. Email or call me to learn how you can become a hiker in the Berkshires!